Windows Phone 7 coming to older phones? 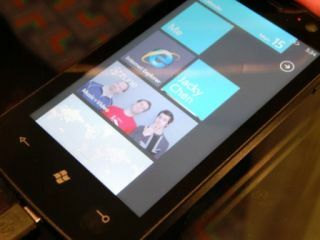 Microsoft has hinted that older Windows Mobile phones could be upgraded to the new Windows Phone 7. The decision will apparently be left to OEMs to work out whether they want to engineer the upgrade, but we're betting the likes of HTC attempt it with its HD2. "It's early days yet, and that's really for our hardware partners to think about." Given that the specs for the touchscreen style of Windows Phone 7 devices mirror some forthcoming WinMo 6.5 devices (and the HD2 already fits the bill) this is good news to all those thinking about buying a Microsoft-run phone in the near future. It would be a real shame if Microsoft didn't make the upgrade possible, but given the high end specs it's mandated for Windows Phone 7, it wouldn't actually lose that many legacy devices if it decided against it.